Daily contact with the English language is one of the most efficient ways to practice it, in order to achieve or keep the fluency you already have. It’s also important for you to know that this contact doesn’t have to be only in the time you set apart for studying. You may maintain this contact by listening to music, watching movies, reading books, or even checking your inbox. Subscribing to newsletters about subjects you like may be a great way to practice your reading skills. By subscribing, you will regularly (daily, weekly or monthly) get emails that will keep you up to date. 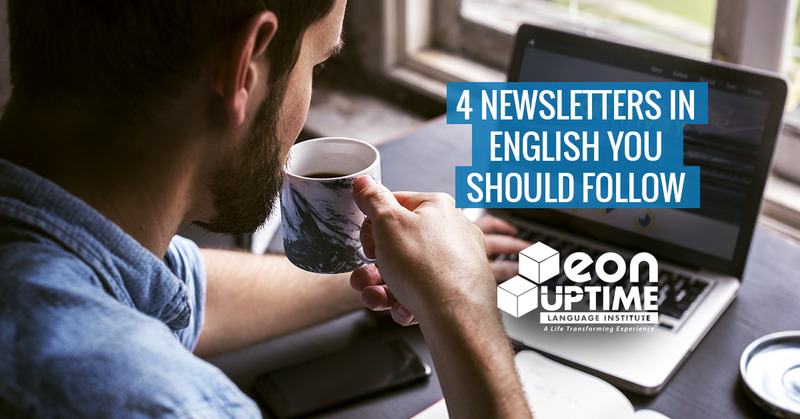 For this reason, we will present 4 newsletters in English you should follow to keep yourself informed and in touch with the language at the same time. The Intercept is a famous traditional American newspaper, and its newsletter pleases everyone: you will regularly get the most important world news about politics, economy or society on your inbox. According to its website, Avaaz is “a global web movement to bring people-powered politics to decision-making everywhere”. By subscribing to this newsletter, you will get suggestions of petitions about different causes all around the world to sign and help draw the attention to them through your email. The emails are usually sent once a week, and to get them, just click on “Join Now” and subscribe to thenewsletter. Bluchic started in a simple way: making WordPress templates available for those who are creating their first website or blog. However, even if this is still the main purpose of the website, it also presents a blog with great tips for people who are starting a business, especially if it’s related to digital marketing. The newsletter? The e-mails are sent around twice a week (the frequency may vary! ), and they are filled with tips about entrepreneurship, digital marketing, social media, success cases and even discount coupons for services provided by the website. To get it, you just have to fill in the space “Get Access to Free Library” with your email address. In addition, you will also get access to lots of free templates. Do you like technology? So you should subscribe to VRScout’s newsletter! This website is a reference in news about games and the technology world, especially when it comes to virtual reality. Even though the news is posted on the website every day, the newsletter emails are sent on a weekly basis, with the most important news of the past few days. In order to subscribe, you just have to enter the website and register your email address on the menu “SCOUTING REPORT”. Did you see how useful subscribing to newsletters can be? Besides keeping yourself informed, you maintain constant contact with the English language, practicing one of the four main skills: reading! After some time you will realize that reading in English can be more natural (and easier) than you imagine.